Italian Talmudist; flourished in the first half of the sixteenth century at Venice. He was a pupil of David Cohen of Corfu. His father-in-law was Benjamin ben Mattithiah, author of "Binyamin Ze'eb." 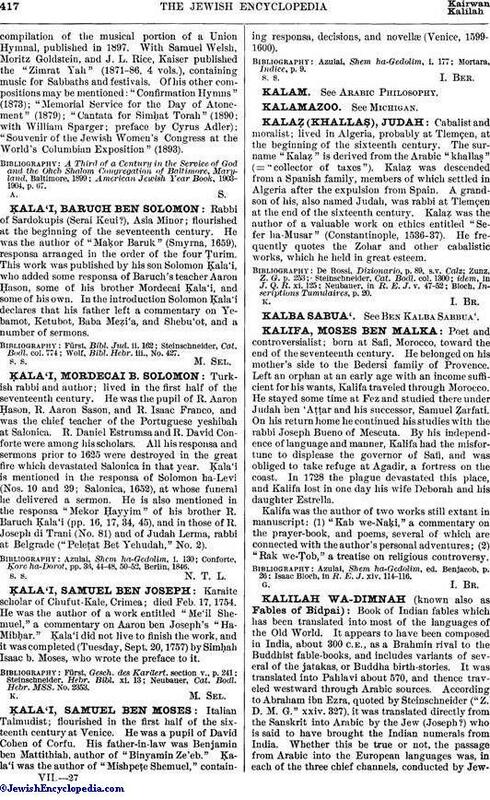 Ḳala'i was the author of "Mishpeṭe Shemuel," containing responsa, decisions, and novellæ (Venice, 1599-1600).